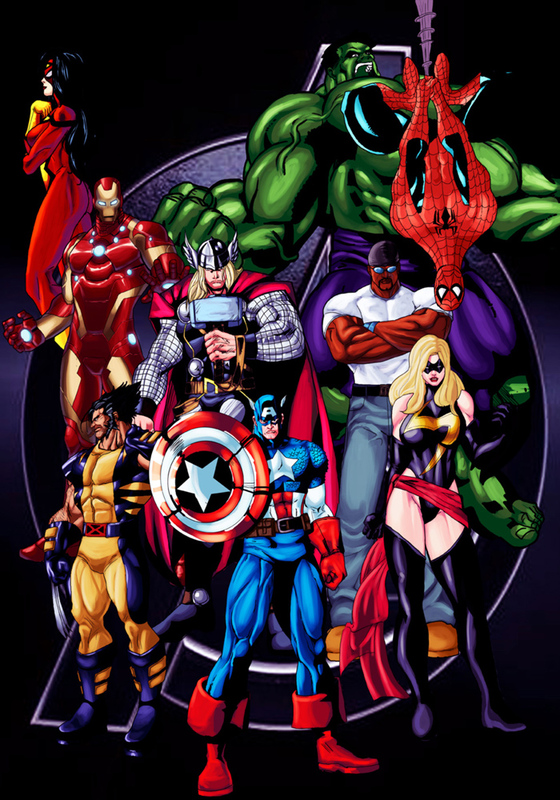 The bright colours really match the comic book style, and the characters are acurately drawn. By the way, who's the fella in the white muscle shirt? Wow, this has some awesome work! Love the detail and coloring! Who is the woman on the top-left? I love the strong muscle detail (the thigh size is pretty emphasized, pulling down the size would make it more realistic). i think that is Spiderwoman? Ahhh! It does in fact look like her!